We want to create a technology that would begin to decrease the need for email and decrease the constant noise of being in a group chat. We specifically focused on the use case of scheduling events with your groups. Email listservs tend to be inconvenient in two ways: most people don't check their email very often. Usually at the beginning of the day or the end of the day. Group chats tend to be too noisy and intrusive and are constantly notifying you even after you are no longer interested in the topic. If you want to organize an event, you login and put in a group name. Twilio automatically generates a phone number for this group. With this number, you can tell group members to text their name to the number. When this happens, the web app creates a log of all the group members and their numbers. Once this happens, you (the organizer) completes this web form. This web form lays out the types of responses that would be sent out to group members. The first one is the initial event invitation that goes to everyone in the group. It ends with asking group members to reply "yes" or "no" or "maybe". The group members respond and the web app is able to show the organizer how many people replied with "yes" or "no" or "maybe" to the event. From there, the form allows the organizer to create a response to the various results. However, no further dialogue would occur with those who replied "no." To those who said "yes" there'd be one more email with extra info. For those who said "maybe," there'd be a delayed response asking if they have made a decision about whether or not to attend. 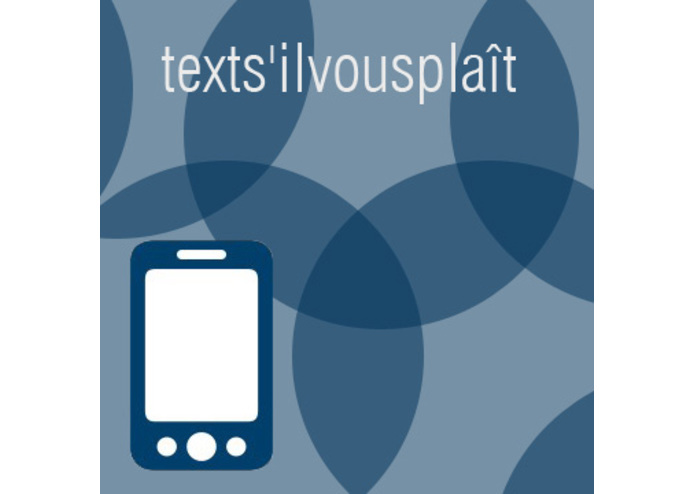 Textsilvousplait is also good because it is not a traditional app. Therefore, there's no need to deal with iOs and Android compatibility. SMS is universal. Ruby on Rails front end with html and css for styling. Firebase for backend. Twilio API for the SMS dialogue. Getting all the systems to work together. We are really proud of the idea itself. We were also proud of the fact that all of us learned every single one of these systems for the first time and then managed to build it and make it work. We learned how to use Ruby on Rails, we learned how to use Firebase, and we learned how to use the Twilio API. We realized there are certain limitations to having a single number assigned to a single group. There couldn't be any overlap with events being scheduled because the replies wouldn't know which even it would be in reference to. Also, we were exploring the idea of having your phone contacts sync up with the web app so you can manually select who you'd like to add to your group of members. Even though these were beyond our scope, it was still good to consider these things and how we'd tackle them in the future. Collaborated to develop Twilio and Firebase API integration.